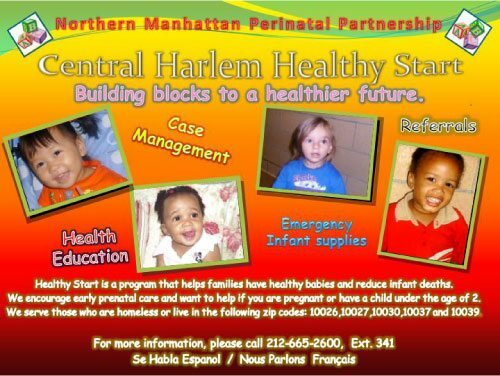 Healthy Start is a program that offers case management, health education and other services for pregnant and parenting women, infants and their families. What is the goal of Healthy Start? The goal of Healthy Start is to assist families in achieving a healthy baby, and in reducing infant mortality and morbidity. Prenatal care is the care during the period from preconception through the first year of life for both the infant and their families. Who does Healthy Start serve? We serve those that are pregnant or have a baby 24 months or younger and live in the zip codes: 10026, 10027, 10030.10037 and 10039. What services does Healthy Start provide? 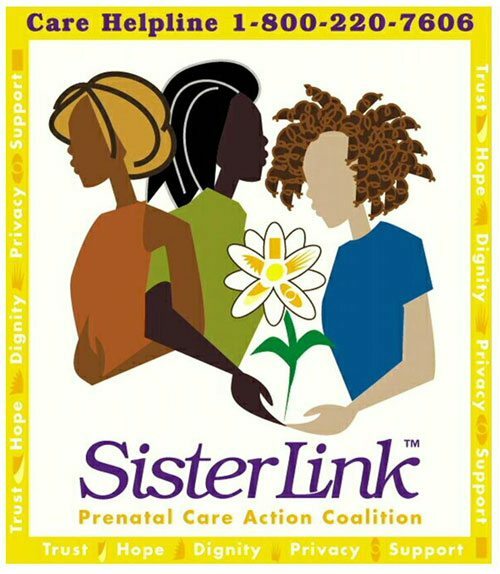 We assist with advocacy, interconceptual care, prenatal care access, housing, public assistance, and WIC referrals; counseling, domestic violence, HIV/AIDS and other health education, home visits and escorts to health and social services appointments.